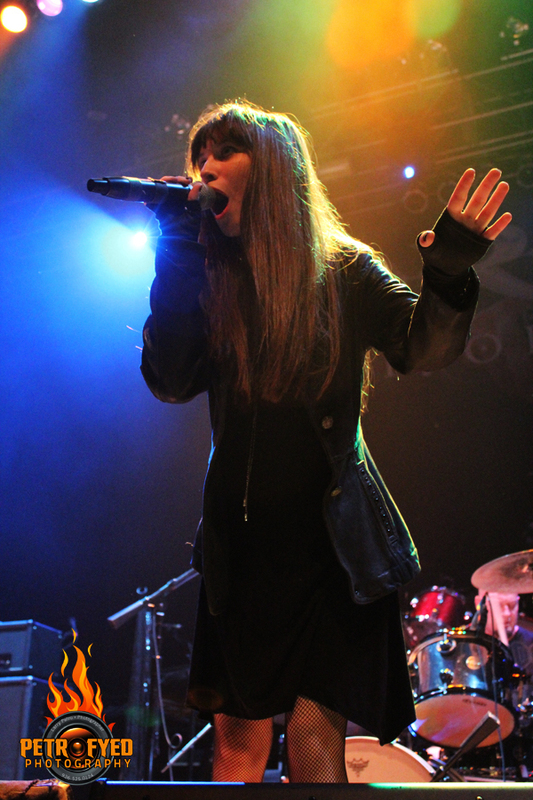 KNAC.COM - Reviews - EUROPE, GABBIE RAE In Houston, TX With Photos! EUROPE, GABBIE RAE In Houston, TX With Photos! The long running Swede quintet known as EUROPE invaded the US for a second time in support of their most recent release, 2015's War Of Kings, the band's first release since Bag Of Bones (2012). 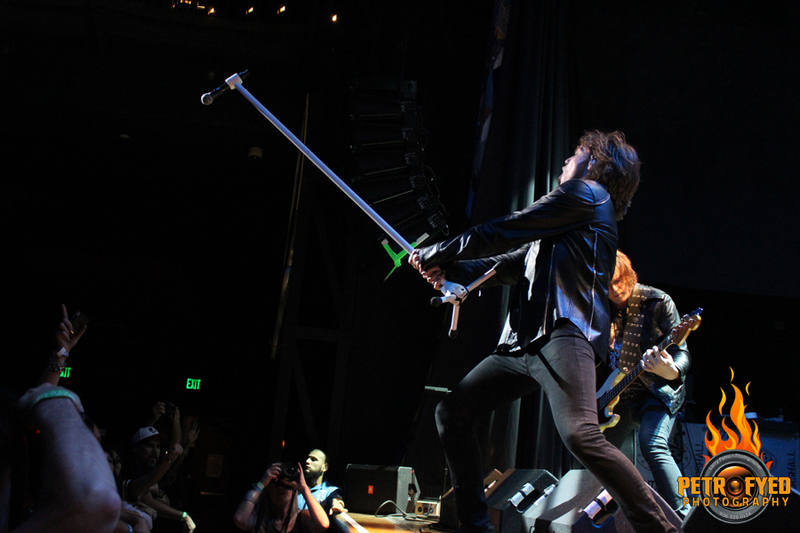 The band, most notably known for their smash 1986 hit "The Final Countdown", has enjoyed a resurgence of late, due in large part to the inclusion of that song in a recent Geico Insurance commercial which, interestingly enough, caused the single to reenter the charts and hit #1 on Billboard's Hard Rock Digital Songs, the band's first ever #1! 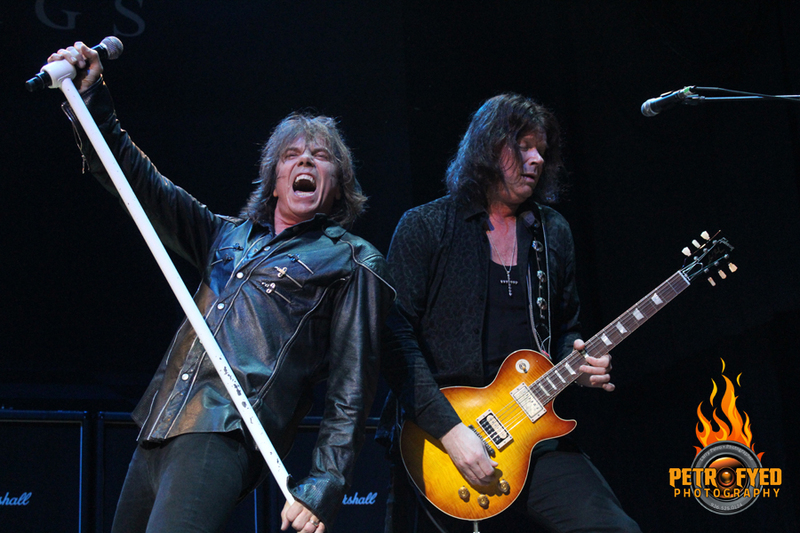 And while many comparable bands from that era of the 80's that still play live shows today choose to play little more than an hour or so, EUROPE, sporting the classic lineup from the Final Countdown album; Joey Tempest (vocals), John Norum (guitars), John Leven (bass), Mic Michaeli (keyboards) and Ian Haugland (drums) showed them all how it should be done, delivering a nearly 2 hour, fiery, exhilarating set at Houston's House Of Blues that puts many of their contemporaries to shame. 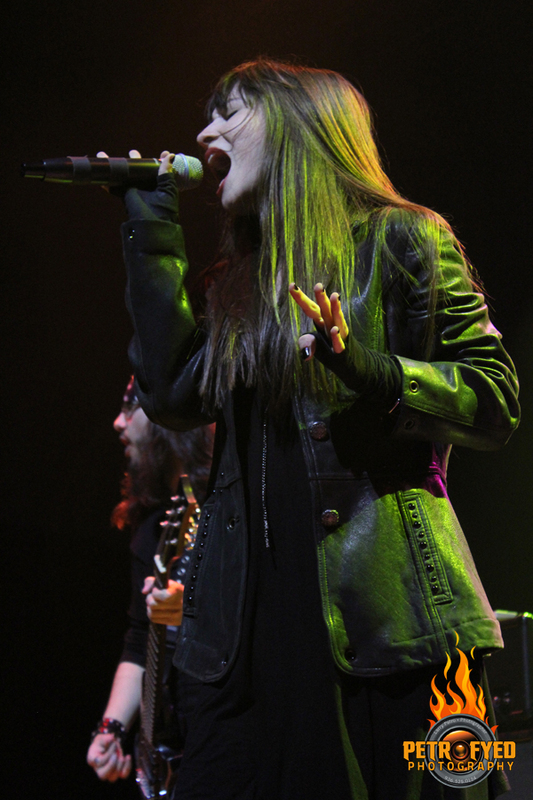 The designated opener for this tour was none other than 17 year old vocal phenom GABBIE RAE, a rapidly rising star who has already performed with more major rock stars than some do in a lifetime, impressing the likes of Todd LaTorre (QUEENSRYCHE), Michael Sweet (STRYPER) and Joel Hoekstra (WHITESNAKE). Having Ronnie James Dio, Michael Sweet and Steve Perry as musical inspirations certainly doesn’t hurt either. Her set, which was comprised of a mixture of covers and original material showcased her true vocal range, running the gamut from MOTORHEAD's "Ace Of Spades" to DIO's "Last In Line" to HEART's "Barracuda" and originals "Scream" and "Can't Stop Us Now". A wonderful performance from a rising star you certainly haven't heard the last of. 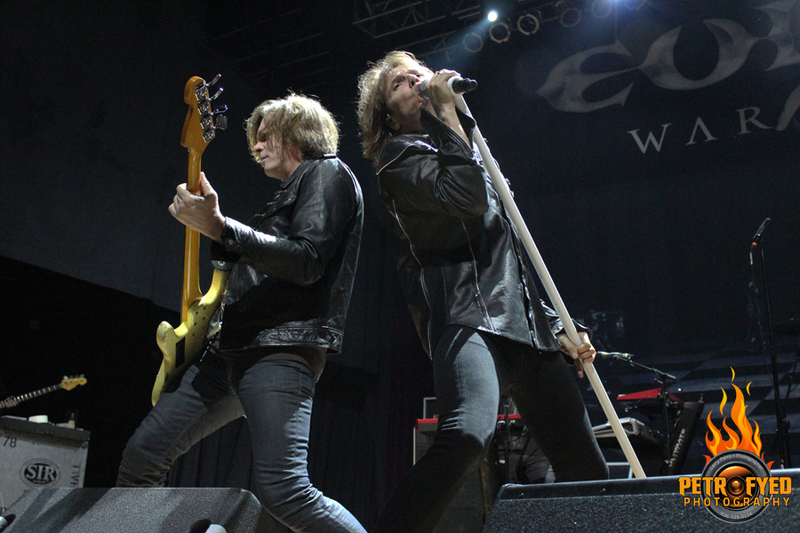 EUROPE took the stage just a few minutes after 9 and launched into their 18 song evening with a pair of tracks from the War Of Kings album, the title track and "Hole In My Pocket", and just like that a truly energetic set had begun. Playing songs from as far back as 1984's Wings Of Tomorrow for "Wasted Time", the band ran through their catalogue with all the hits like "Rock The Night", "Carrie" and "Cherokee", all from the seminal The Final Countdown, "Superstitious" (1988's Out Of This World), "Girl From Lebanon" (Prisoners In Paradise, 1991), the title track from 2009's Last Look At Eden and "Firebox" from 2012's Bag Of Bones disc. 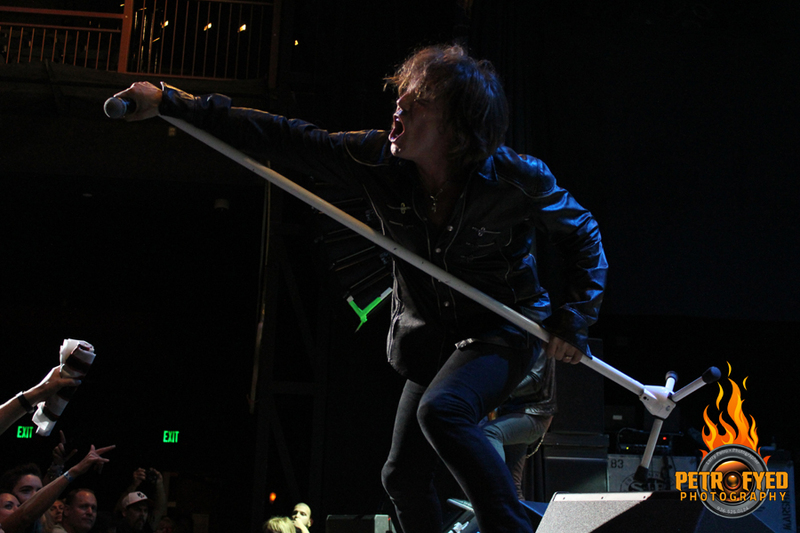 Vocalist Joey Tempest was quite the active showman, constantly engaging the crowd, moving from side to side and even taking time to strike a pose or two for all the photographers in the pit, your truly included, and using his mic stand in such a way that would make even David Coverdale proud. The band was tight and thoroughly enjoying themselves on this night and in a true show of rock tribute, midway through their set Tempest paid tribute to the late EAGLES guitarist Glenn Frey with an outstanding cover of "Desperado" that was enough to make your hair stand on end. Drummer Ian Haugland pulled off an excellent solo played to the tune of Giachino Rossini's "William Tell Overture", which brought a smile to this reviewer's face. 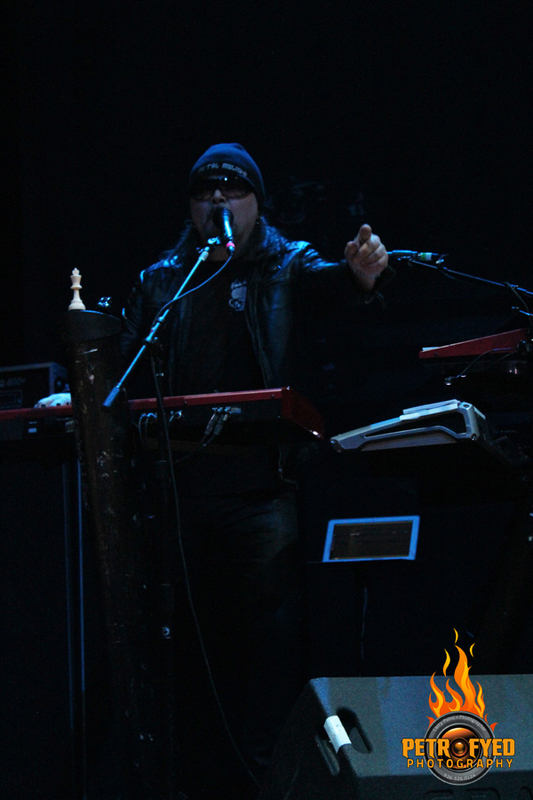 Since the tour was in support of the War Of Kings album, the group ended up including 6 tracks from the release; "Nothin' To Ya", "Days Of Rock 'N Roll", "The Second Day" and the instrumental "Vasastan", a bonus track, in addition to the first two previously mentioned. As one might expect, they finished their evening with a single encore, "The Final Countdown". Though admittedly never a huge fan of EUROPE, though I did like quite a few of their songs, I left this show with a whole new appreciation for them live. It was an enjoyable show from start to finish and if you missed them when they came near you, you truly missed a great performance! "Days Of Rock 'N Roll"